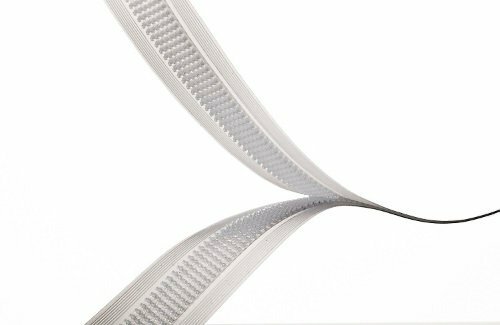 Velcro Companies introduces Velcro Brand PRESS-LOK Advanced closure a hook-to-hook closure system for manufacturers to quickly and easily integrate the closures with their flexible packages and pouches. Traditional closures used on larger flexible packages do not allow for precise line-up. This makes re-closure challenging many, including children, the elderly and those with dexterity issues. The new closure has the brand’s hook-to-hook fastening solution, enabling consumers to easily align the seal to precisely and reliably close larger pouches with wide openings to ensure contents are contained and fresh. The 100% recyclable closure can be heat-sealed to flexible packaging at lower temperatures that minimizes the film impression marks. This allows for a smoother top panel appearance, improving the look of graphics on flexible packaging and pouches.